Yes, Pininfarina, the design house known for creating some of the best looking cars in history including a slew of Alfa Romeos and Ferraris, is about to turn into a full-fledged manufacturer with the help of its current owners – Mahindra. However, what’s even more significant is the first car that the Italian company plans to roll out – a hypercar with performance to rival the Bugatti Chiron. The hypercar will play the role of a halo model for an electric vehicle lineup comprising of three SUVs that Pininfarina plans to introduce in the near future. 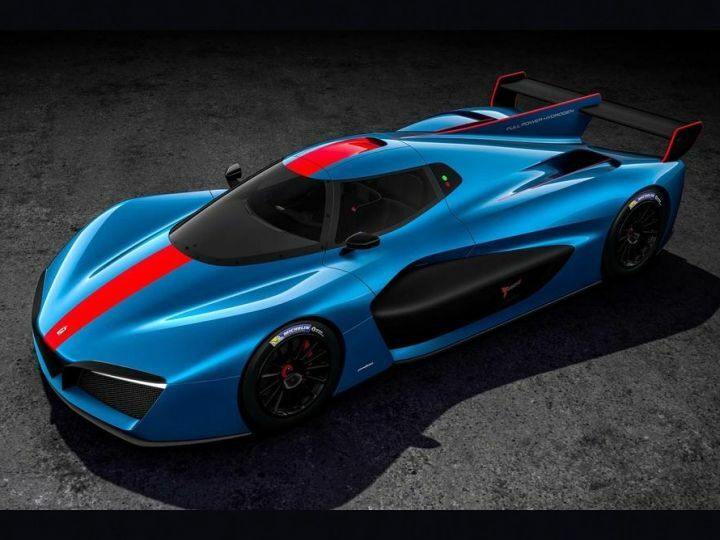 The hypercar, codenamed PF-Zero, and the all-electric performance SUVs will use modular underpinnings developed by Croatian electric supercar maker Rimac and the Mahindra Racing Formula E team. The Rimac C_Two, which was unveiled at the 2018 Geneva Motor Show, produces over 1900PS. Hence, we can expect the PF-Zero to produce the same output or even better the Rimac. For reference, the Bugatti Chiron produces 1500PS of power. The development of the PF-Zero is likely to begin this year with launch slated for 2020. Meanwhile, the three SUVs will be targeted at the Lamborghini Urus, the Porsche Cayenne and the Macan. The fastest SUV, codenamed P-One, is expected to offer around 950PS of power from electric motors powered by a 140kWh battery. The smaller SUVs, on the other hand, are expected to use a lower-output version of the same powertrain. These SUVs are likely to hit the road between 2021 and 2025. While details are still scarce, what we know for sure is that these four cars are not only going to be gorgeous to look at but should also push the envelope of performance even further. Mahindra has poured in an initial investment of $100 million to turn Pininfarina into a full-fledged car manufacturer. The new firm will work independently of Mahindra Electric with operations based in Europe. Currently, Pininfarina’s ambition of turning into a full-fledged carmaker is being headed by former Audi India boss Michael Perschke.